This talk by Denis White (Oregon State University) centres on Energy Systems Theory which postulates that the transformation of energy underlies all phenomena and that the available energy previously used up directly and indirectly to make any item can be accounted for as energy of one kind (e.g., solar energy), which can then be used as a universal accounting unit. In the energy budget for nations, expressed in terms of available solar energy (“emergy”), we define the sum of the local and imported renewable emergy as an index of sustainability and we define the sum of the local renewable and non-renewable emergy as an index of self-sufficiency. 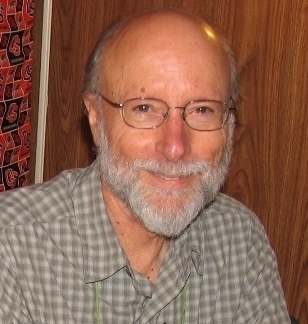 Denis White is a geographer recently retired from the US Environmental Protection Agency in Corvallis, Oregon, where he worked from 1988 until 2011. He currently holds a courtesy appointment in the geography program in the College of Earth, Ocean, and Atmospheric Sciences at Oregon State University. While at the EPA he worked on designing global grid systems for environmental monitoring and other applications, developing methods for and analysing biodiversity data, programming fish assemblage simulation models, developing a modeling framework for ecosystem services, developing alternative futures projects for EPA, and visualising energy system analyses. Before moving to Corvallis Denis worked at the Harvard University Laboratory for Computer Graphics and Spatial Analysis for 13 years. He worked in a small group in his early years there developing one of the first vector-based geographic information systems including contributions to overlay analysis, topological encoding, memory management and map projection utilities, and a functional language for analysis of attributes of spatial objects. In later years at Harvard he continued software development work but also taught computer graphics and GIS, and worked extensively with landscape planners on alternative futures projects in US national parks. Before Harvard Denis had research positions at the Department of Earth and Planetary Science at MIT and at the Department of Computer Science at the University of Wisconsin. Good afternoon, and thank you, Michael. I am honoured to be invited to address you today. I want to talk about a “measure beyond money” that is based on a physical quantity that is omnipresent and measurable. I’ll start with talking about the concept of “value”, and continue with a description of emergy, its properties and applications. I’ll show how emergy can be used in finance as an accounting of debt, liabilities, assets, and other financial concepts. In the latter part of the talk I’ll discuss how we can define sustainability and self-sufficiency with emergy budgets, and show graphs and maps of both of these for nations of the world. There are many ways to think about value but here are two important ones. First, the value concept that we use in economics and finance is often called a “willingness-to-pay” value, in other words a value based upon the degree of desire that humans have for something such that they will pay for it. An alternative concept is based upon some kind of “intrinsic” or basic property of the goods or services that exist in our world, without regard for our desire for them. The willingness-to-pay valuation we can call a receiver-based, or demand-based value system, and the intrinsic property valuation a donor-based or supply-based value system. In a simple economic model goods are produced and consumed. Consumers pay for the goods from producers, and producers make the goods, in part, by paying wages to consumers at large for their labour. To close the loop in the simple model, we recognise that producers receive the value of labour from the consumers at large, and consumers receive the value of the goods and services they purchase from the producers. It’s important to recognise also that value is received from the environment in the production process. Terms such as raw materials and natural resources reflect that we do accord at least some non-monetary value to such items, although many materials also are purchased through the willingness-to-pay economy. What is an intrinsic property of things and processes that could be used for a donor-based value system? Energy is such a property. All things and processes in our world contain energy. All actions are accompanied by transformations of available energy. The available energy used in the past to create a good or service is a measure of value, in the sense that it measures what was required to produce that good or service. Available energy comes in different forms, for example, as sunlight, coal, oil, or electricity. The different kinds of available energy have different abilities to do work. Howard T. Odum developed the concept of EMERGY to recognise the different kinds, or qualities of energy, for the use of energy as a comprehensive value system. Emergy is the available energy of one kind previously used both directly and indirectly to make another form of energy, or product, or service. In a sense it is the memory of energy that goods and services contain. Another term that has been used is embodied energy. Most studies using the emergy concept use solar energy as a baseline and then calculate all goods and services based on the amount of solar energy that is contained in them. The units of solar emergy are then called solar emjoules. Emergy analysis is based on the laws of physics and thermodynamics, and is derived from energy systems principles, about which I will discuss briefly in the next couple of slides. Using the emergy value system, all goods, services, and information (whether environmental, economic, or cultural) are put into a common unit of measure (usually the solar emjoule as I mentioned). Why do we talk about energy quality? Because calories of one form of energy are not necessarily equal to calories of another form in their ability to do work. In other words, a calorie of sunlight is not necessarily equal to a calorie of wind, which is not equal to a calorie of fossil fuel, which is not equal to a calorie of electricity. The quality of a kind of energy is determined, in part, by the concentration, flexibility, east of transportation, and convertibility of that kind. A key principle of emergy is the energy hierarchy. Here we see one such hierarchy that proceeds from solar energy through plants, geological formations, fossil fuels, to power plants, industry and commerce, then to human provisions of food, clothing, and so forth, and finally to the labour of humans. Twenty million joules of sunlight yield through this process one joule of human labour. Where did all of the energy go? Some is lost to heat as the heat sink symbol at the bottom of the diagram shows. Other amounts go into the processes of creating higher quality energy making it more concentrated, flexible, transportable, and convertible. Note here that we put a rectangle around the system of interest for the purposes of analysis. As we noticed in the previous slide, the energy in a hierarchical network, including feedbacks, can be quantified. In a simple energy network like that in the previous slide, the solar energy entering the system is the solar emergy, and in this case that amount of emergy continues to flow through to human labour. We can then calculate the ratio of total emergy coming into the system to the amount of energy leaving at any step. That ratio is the emergy per unit energy, and is called the transformity of that step. Transformities have been calculated for many products and services by the emergy research community. Here are some examples. If you go back two slides and calculate the transformities as depicted there they won’t be exactly identical but are in the same order of magnitude as these shown here. The research community is constantly deriving new values for older transformities as well as calculating transformities for new technological methods and processes. Note how energetically valuable the creation of a new species is! Emergy analyses have been performed for a wide variety of things and processes. Two examples showing some of the breadth of applications are, on the top diagram, the network of energy transformations from sunlight to cell DNA, and on the bottom, the network of emergy flows in the agriculture of India, including the emergy involved in supporting the sacred cow. An important contrast between a donor-based value system and a receiver-based one is explained in this slide and the following. When resources are abundant, they are easy to obtain and lower costs and prices are correspondingly low. The net contributions to the economy are therefore the greatest during periods of abundance, and the standard of living is high. When resources are scarce, however, costs of obtaining them are higher and prices are higher. Then, real wealth is not abundant and the standard of living is low. Thus, market prices are inverse to the real wealth contributions of the environment. This follows from a receiver-based value system where money is paid only to people for their work but not to the environment for its work. In general, market prices do not reflect impacts on the environment either. We do address some environmental impacts through government regulation which is reflected in prices, and through restoration activities funded by government but not usually reflected in prices. We can formulate a balance sheet analogous to standard accounting double-entry accounting practice in which we show environmental impacts as well as assets and equity. An abbreviated balance sheet using emergy as the currency would look something like this example taken from part of a comprehensive emergy budget for the US state of West Virginia. The assets include extensive forests and coal reserves, the building infrastructure, plus the knowledge of the people of the state. The liabilities include debt on the building infrastructure and estimates of the effort to remediate acid mine drainage and other damage from mountaintop mining. Built capital here is the emergy of the buildings minus depreciation and minus the debt load. Natural capital in this simple case is the emergy of forest and coal resources minus the extraction damage. Knowledge of people, and human capital, is, in this case, based on the education level. Emergy analysis can reveal inequities in international trade. In the early 1990s Ecuador replaced coastal mangrove swamps with shrimp farms to be used for exporting the shrimp products. The example diagram from a study of the shrimp mariculture system shows that if all the income in Ecuador that is derived from selling shrimp to the US is spent on goods and services from the US, then Ecuador is exporting more emergy than it receives from shrimp farming, by a factor of about 31.2/7.6 ~= 4.1. We have devised a graphic depiction of the emergy flow per time in a system that partitions the flow into renewable versus nonrenewable emergy flow in one dimension, and partitions the other dimension into locally produced emergy flow versus imported emergy flow. In addition in the bottom row, we divide the exported emergy flow between renewable and nonrenewable. We call this graphic the emprint. The emprint is based on an emergy budget for a fixed time (one year, for example) for a well-defined system, a nation, or group of nations, for example. For the group of 163 countries for which we have good data, the average emprint of emergy flows per year reveals relatively balanced internal emergy flow between local renewable, local nonrenewable, and imported nonrenewable. It is not too surprising in our era of dependence upon fossil fuels that imported renewable emergy, for example, the emergy of solar, wind, and wood, is generally a low percentage of total emergy flow. Three countries that exhibit the three main extreme patterns of emprints are Ethiopia, dominated by local renewable emergy flow, Algeria, dominated by local nonrenewable, and Belarus, dominated by imported nonrenewable. As an oil producer, Algeria’s export emergy flow is 95% nonrenewable, notably higher than the 81% average across all countries we analysed. In the European Union, many of the western European countries, and the US, have a substantial proportion of the emergy flow in imported nonrenewable emergy. Spain and Portugal, though, have half or more of their flow in local nonrenewable. Ireland has the highest percentage of local renewable emergy among these nine countries. Our contribution to the widely differing definitions of sustainability is an objective, measureable quantity, the sum of the local and imported renewable emergy flow. This is the sum of rows 1 and 2 of column 1 in an emprint, which, for the average of 163 countries is 39%. Likewise we have an objective, measureable definition for self-sufficiency, the sum of the local renewable and nonrenewable emergy flow. This is the sum of the first row of the emprint, which is 67% for the average of our analysed countries. The map of sustainability reveals highest sustainability in some countries of western and eastern central Africa, and of southeast Asia. Lowest sustainability is in the US, Mexico, central and eastern Europe, north Africa, and the middle East. Many more countries are in the highest quintile of self-sufficiency than there are in the highest quintile of sustainability. The lowest self-sufficient countries evident on the map are France, Germany, Slovakia, Belarus, and Switzerland. The most sustainable countries tend to be those that are less developed, not surprisingly, whereas the least sustainable are either fossil fuel producers or heavily dependent upon fossil fuel imports. The ten most self-sufficient are all in Africa, whereas the six of the ten least self-sufficient are in Europe. We have done an initial comparison with four other relatively well known indices of human welfare, or impact. The Human Development Index, the Happy Planet Index, the Environmental Performance Index, and the Ecological Footprint have each been publishing their results for multiple recent years. For the comparisons we used a year of publication that was closest to that of our emergy analyses, which was 2000. It is noticeable that there is little correlation between any pair of these indices, including our emergy-based sustainability and self-sufficiency indices. The highest correlation is between the Human Development Index and the Ecological Footprint, which is not too surprising because each is one kind of measure of degree of development. Real wealthis the value in human goods and services, and non-human environmental goods and services. Energy is contained in every good, service, and environmental process. Energy has different qualities depending upon the source and position in a chain of energy transformations. Emergyis the most comprehensive and scientifically correct method for valuation using energy.